Par 72, yardage 7,200. 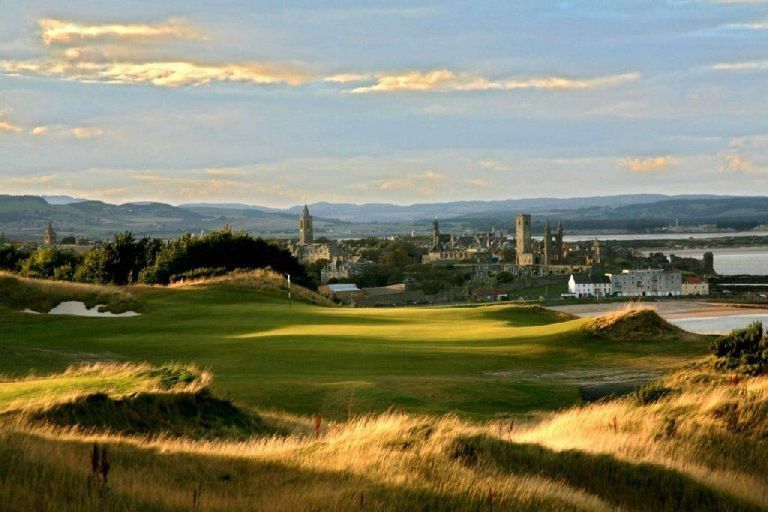 St. Andrews Links Trust has created a seventh eigtheen hole course to join its portfolio of six courses. Open June 2008, The Castle Course is two miles from the town center. The designer, David McLay Kidd, creator of Bandon Dunes on the Oregon coastline, has created a typical Scottish golf experience. Each hole has a choice of five tees and the course will be playable between about 5,300-7,200 yards. The experience of playing the Castle Course will be a treat for the senses. The North Sea is a visible presence on every hole while the view towards St. Andrews is one of the finest possible. The focal point of the course will be the headland named Kinkell Ness, or Point, which is where the double green that serves holes 9 & 18 is situated and where the clubhouse is built.